We’re getting this party started! Email your answers to the trivia questions and polls to hampshireshakespearegiving@gmail.com to be entered into the raffle! And please help us light the candles on the cake by donating (use the button on the right)! Trivia Question: What year was Shakespeare born? Did you know? William Shakespeare was one of 8 children born to John Shakespeare and Mary Arden. Learn more about his family tree! Trivia Question: How many sonnets did Shakespeare write? Trivia Question: What Canadian TV series set at a fictional Shakespeare festival starred Paul Gross, Stephen Ouimette and Martha Burns? 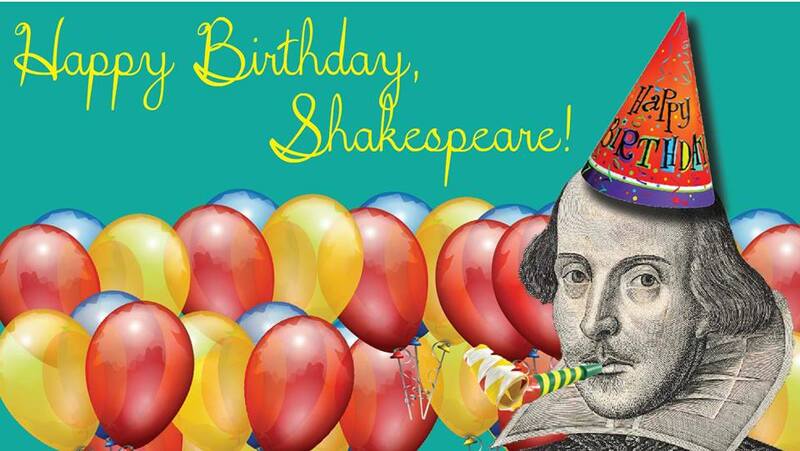 Join us on Shakespeare’s Birthday, April 23, for an online celebration! We’ll be celebrating on Facebook, Instagram, and our website! All day we’ll be sharing quizzes and polls, sharing Shakespeare trivia, raffling off prizes, and raising money for new lights! Everyone who participates in the day will be entered into a raffle for our grand prize which includes tickets to our summer season, a beautiful copy of Shakespeare’s works, an Atkins gift basket, a box of chocolates from Heavenly Chocolate, and more! Any gift between now and end of day April 23 will be entered in the raffle, so make your gift today!